Resilient. Resplendent. Real. 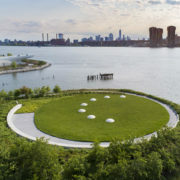 New York City’s newest waterfront park opens in Long Island City. 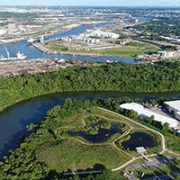 SWA designers and a team of graduate students envision a dynamic tapestry of ecology and urban spaces for the port’s terrain. 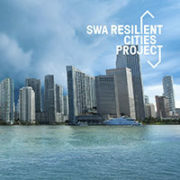 SWA’s tradition of pro-bono, community efforts continues with “Resilient Cities Project,” a new, action-oriented initiative that pairs SWA’s professional talent with representatives in a selected city to generate insight on opportunities to improve resilience, whether at the scale of a site, corridor or broader open space network. 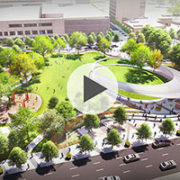 The park is the result of a “land swap” between the city and the developer of the adjacent One Dallas Center. 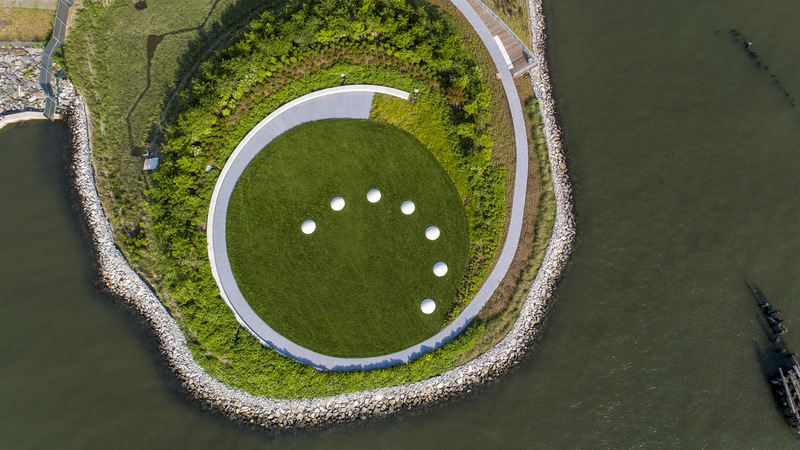 In early 2016, SWA’s Chuck McDaniel and his team jumpstarted their design process for the 3.2-acre refuge with public “envisioning” sessions, then crafted the park based on their findings. To build excitement for Pacific Plaza, the new park was the subject of a selfie video mosaic at a recent city conference.